Emmylou's class went on a field trip to the pumpkin patch we usually go to every year. The teachers hid paper ghosts and bats among the pumpkins for the kids to go find. Ms. Jodi, the school's director, read the book 'The Littlest Pumpkin' to all the kids. When I rounded the hall to pick up Miller from Children's Morning Out last week I was surprised to see that he was the featured artist of the month! Just check out that awesome spider he made. I read a lot of blogs, mostly related to design. 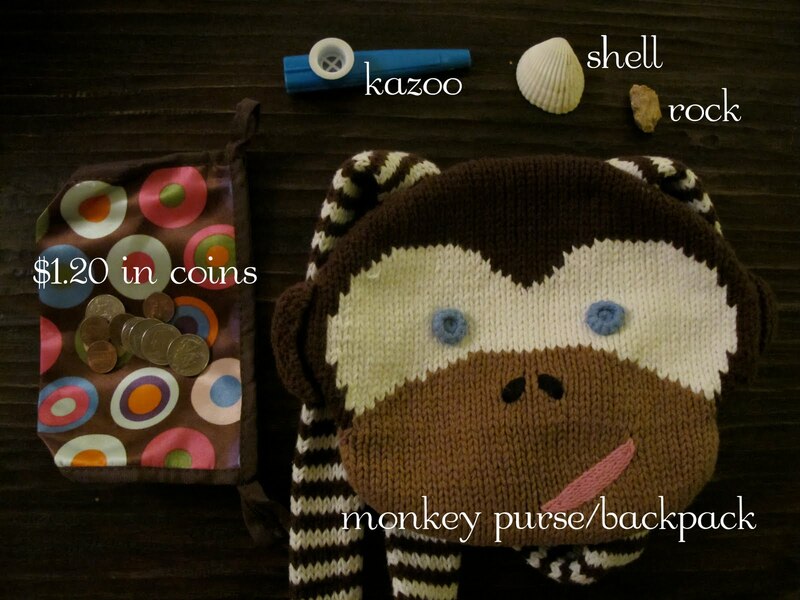 Every once in a while, one thing they like to do is ask people they interview about what they keep in their purse. My friend Kaho reminded me of this with a post on her blog the other day, so when I picked up Emmylou's monkey "purse" today and found it surprisingly heavy, I knew I needed to out the contents. 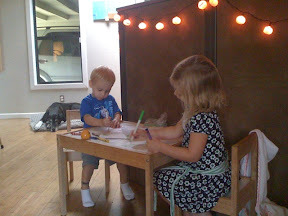 A little peace and quiet today in our house courtesy of a few markers and a couple sheets of paper. Last weekend was very busy. Emmylou and Gary were both in Gary's cousin Trey's wedding Saturday night (photos to come!) (congrats, Trey and Deb!) and then the kids and I miraculously managed to get ourselves to a charity walk early Sunday morning. But we didn't want to miss it because it was for such a good cause! We know Victoria through the Riley's and Victoria's mom organized the walk to raise money for Childhood Apraxia of Speech, a communication disorder a lot of children I've worked with have been diagnosed with. Gary and Grammie took Miller and Emmylou to Sweet Berry Farm today while I was brunching with some friends. They said it was packed and crazy but Emmylou and Miller did manage to get their faces painted and pick out some great pumpkins. Pawpaw and Nana came over last weekend to give Miller his big birthday present: a four wheeler! He still doesn't get the concept of steering to stay on the sidewalk, but he loves it. Thank you, Pawpaw and Nana! Daddy took Miller to see Thomas the Train last Friday, but I forgot to charge the camera battery so these are the only pics from it. No photo with Thomas but it looks like he had a good time! On Sunday we had Miller and Tate's combination birthday party at the Riley's house. Since my camera never made it out of its case (what a luxury it is to have Emily as a sister! 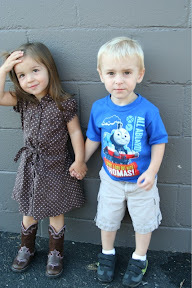 ), I'm stealing these photos from Tripp and Tate's blog until I get the ones Emily took. Click here for a link to their post about the party. We all had a blast and can't thank the Rileys enough for hosting it at their house!